Dependable, Trustworthy, Client Focused – Fee-Only Full Service Financial Planning & Wealth Management firm. Our firm offers a wide range of services to our clients. As a small firm, our clients benefit from quality, personalized service that is second to none. Financial success does not happen overnight, but through careful planning. Working closely with you and understanding your needs will help us map a strategy to plan for that success. We will assist you with all of your financial planning and wealth management needs while offering you high quality professional services at affordable prices. Our goal is to help clients maintain financial viability in the near term while taking a proactive approach to accomplish future objectives. Midwest Wealth Solutions LLC is dedicated to meeting those goals with high standards of excellence and professionalism. Properly planning for life’s goals and challenges does not happen overnight. A comprehensive financial plan puts an individual or business in position to strengthen their financial security. Lofty goals and objectives can be achieved with sound planning and discipline. This includes reviews & analysis of your Net Worth, Cash Flow, Money Management, Investment Planning, Tax Projections, Retirement, Estate, Education, Insurance, Business, and other planning goals. We work closely with you to understand your financial objectives and develop a plan to achieve those objectives. Brian earned his Bachelor of Science degree from UW – La Crosse with a triple major in Accounting, Finance, & Economics. He has a Master's of Business Administration with a specialty in Finance from Marquette University and has post graduate certificates from Cornell University SC Johnson graduate school of management in Executive Leadership & Leading Management Teams. Brian is a Certified Public Accountant, Certified Financial Planner, Personal Financial Specialist, Certified Global Managerial Accountant, and a Certified Project Management Professional. He started his career working in Public Accounting for a regional CPA firm for a number of years. Then Brian worked in the private sector for a large fortune 30 company and smaller corporations, holding positions in Corporate Finance, Internal Audit, and Strategic Management. After that Brian started his own firm Leben CPA LLC and now Brian is a principal at Lulloff, Leben & Taylor. 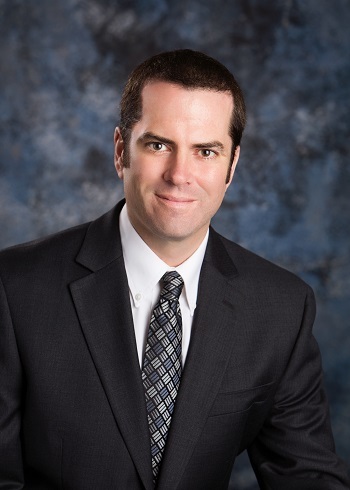 Brian is an active member of the Certified Financial Planner organization, the American Institute of Certified Public Accountants (AICPA) and the Wisconsin Institute of Certified Public Accountants (WICPA). In his spare time Brian loves the outdoors (biking, hiking, camping, downhill skiing), Sports (Packers, Brewers, Bucks), and enjoys spending time with his wife Megan and two young daughters.